When you’re dealing with a disaster you want it done with fast. But you also want it dealt with properly. Our fire damage restoration, water damage restoration, and mold remediation services have you covered in Pomona, California. By limiting exposure to hazards such as smoke and dampness we’ll limit the destruction that needs to be repaired. After specialist services, including sewage, smoke, and odor removal our construction crews take care of repairs and reconstruction. 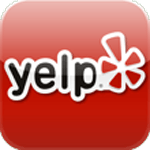 Problem at your Pomona home or business? We’ll be there within minutes, 24/7/365. More than a flood company, our technicians and advanced equipment are ready to tackle fire damage restoration, smoke and odor removal, mold removal, and sewage extraction along with any necessary repairs. Our highly trained technicians are certified in a wide range of fire and water damage restoration specialties, and our repair and construction crews are skilled and experienced. Together with the latest in cutting edge equipment they’ll get the job done quickly, thoroughly, and properly. We’re fully licensed and insured, and guarantee our work and your satisfaction. By IICRC guidelines, anything more than a few square feet of soaked flooring calls for immediate and aggressive drying utilizing special equipment. 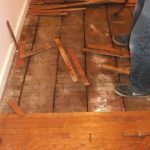 That’s because water quickly soaks into wooden sub-flooring and upwards into wood framing, insulation, and wall board. But it’s then trapped so deeply that it takes natural evaporation weeks to complete structural dry out, even in warm and dry Pomona weather. Yet in the first 24 hours it’s already starting to warp wood, promote mold growth, and causing wall board to sag and even disintegrate. 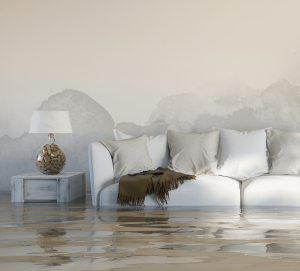 Whether the cause was mother nature or faulty plumbing, big or small, our flood services are carefully planned out for the fastest drying and the least amount of damage. That starts with bulk water removal, debris cleanup, and moving furniture and other possessions out of wet areas. Our technicians go to work with special water extraction gear on walls, floors, and ceilings for surface drying. That’s the first stage of dehumidification. They’ll then use commercial-grade blowers and refrigerant dehumidifiers for thorough building structural dry out, leaving no excess moisture anywhere. Our crews can also complete any water damage repairs you might need. As part of our customer-care focus, we’ll work directly with whatever insurance company you happen to be with. That includes billing them directly so you’re not in the often frustrating loop of claims paperwork and the detailed documentation that involves. We’ll also make sure that their mitigation requirements are met so that any secondary damage that does occur should be covered. The often overwhelming scene after even a small fire reveals the many types of destruction that call for professional fire damage repair crews. There’s covering openings and reinforcing the structure, debris removal, repairs, and perhaps even demolition and reconstruction of heavily damaged areas. Our experienced and highly trained teams know exactly what to look for, and what to do. Such as isolating unharmed areas and setting up air scrubbers to remove invisible lingering contamination. Where fire hoses or sprinklers are involved our priorities also include water extraction and structural drying along with mold remediation. The first 1 to 2 days are critical. But smoke removal is even more time critical. Many materials that would otherwise be permanently discolored can be saved if properly cleaned within a few hours. Fire damage repairs are vital, but so is smoke cleanup and odor neutralization. Different types of fires produce different types of smoke and soot, but all contain hundreds of odor-causing, acidic, and toxic compounds. In as little as a day or two metals corrode, fabric and paint stain, and odors penetrate so deeply that they can no longer be removed. So our specialists go to work immediately with unique smoke removal cleansers as well as dry-ice blasting equipment for larger building surfaces. But smoke makes its way into building cavities and other locations beyond reach. So our arsenal also includes odor removal gear such as foggers and ozone generators. Foggers produce a vapor that binds to odor compounds, neutralizing them. Eco-friendly ozone reaches even deeper into the structure and penetrates porous surfaces. Wherever it goes it safely breaks apart odor-causing compounds. Mold growth doesn’t require light, so it could be hiding anywhere there’s a bit of moisture. Seen or unseen it damages porous materials and releases allergens and irritants. Many species, such as black mold, also release toxins that with prolonged exposure can cause very serious health conditions. And it’s not easy to complete spore and mold removal thoroughly enough to prevent regrowth and spread. We’re a licensed mold company, and do everything by the book. That means setting up plastic sheeting, air scrubbers, and negative-pressure exhaust to prevent spreading contaminants before actual removal by industry best-practices. Our thorough remediation also includes decontaminating carpets, furniture, and air ducts along with providing non-toxic anti-fungal treatments. We’ll also neutralize odors so any musty smells won’t be lingering around. Thorough remediation also means removing infected porous materials, so our repair crews are available to replace wall board, trim, cabinetry… whatever you might need. A sewage backup or any flooding that’s been in contact with the ground is highly unsanitary, filled with germs that can become airborne. So as part of sewage removal we’ll take all the appropriate precautions, such as containing and isolating the contaminated areas and purifying the air. 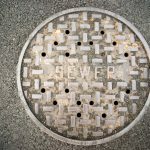 After sewage removal our antimicrobial cleaning and disinfecting experts will thoroughly clean and sanitize everything. Repairs are often necessary, as anything that’s come in direct contact with sewage must either be heat sanitized or thrown away. Pomona and other ordinances also regulate the proper transportation and disposal of these infectious wastes. Our cleaning and restoration technicians are also experts in treating building contents such as rugs, carpeting, upholstery, and other furniture. But there’s a few things you might not have thought of as well, such as smoke removal and water damage restoration for electronics, appliances, and HVAC air ducts and equipment. Our professional fire and flood services crews are also experienced in building repairs and reconstruction, with carpenters, roofers, flooring specialists, cabinetry experts, plumbers, and electricians. As general contractors if we don’t have the perfect person we’ll find one so that you never have to deal with more than one company. Pomona has the dubious distinction of being one of the few cities in California hit by damaging tornadoes. In April of 2015 one tracked 7 to 10 miles through Pomona, damaging 14 homes, 2 shops, and a church (http://www.disaster-report.com/2015/04/tornado-in-pomona-ca-damages-17-houses.html). And in 1978 a tornado flipped over a replica steamboat (The Wippoorwill) leading to 16 deaths. So people in Pomona really do need to be prepared for anything. Once you’re back to your regular routine we hope you’ll take some time to take care of that. You can download a family emergency plan PDF and spreadsheet from http://www.ci.pomona.ca.us/index.php/residents/living/emergency-preparedness-and-safety.